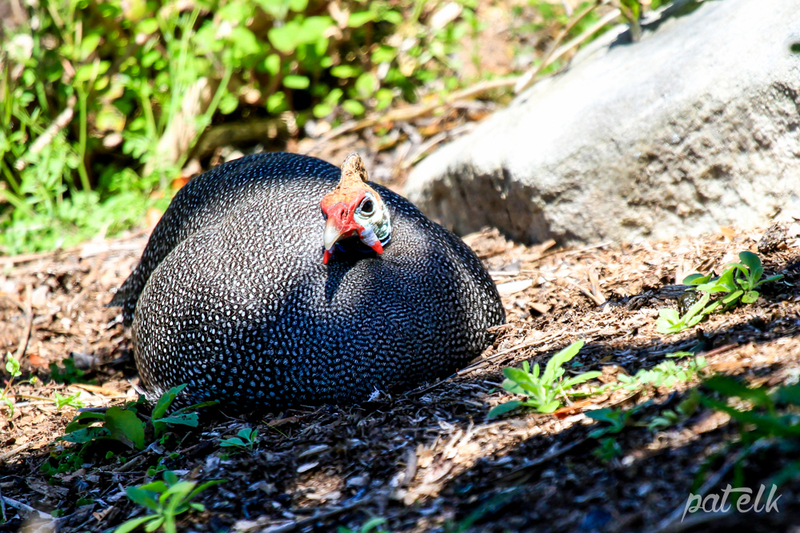 The Helmeted Guinea Fowl (Afrikaans name, Gewone Tarantaal) is seen everywhere in flocks, sometimes keeping close to buck and zebra. They are really noisy and get quite aggressive with each other. It is believed that this bird has been gifted with protective powers by the gods and is known as the bird of protection. They are incubated by the female only. They have a crazy habit of running in front of the vehicle, never veering right or left, going on for almost ten minutes before ducking back into the bush. Seen everywhere in the Kruger National Park.